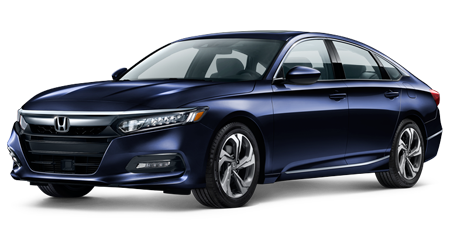 From its Dual-Zone Climate Control to its connected audio features and Honda Sensing™, the sophisticated Honda Accord Sedan delivers! The Honda Civic Sedan creates a memorable impression, what with its multi-angle rearview camera, turbocharged engine and one-touch power moonroof. 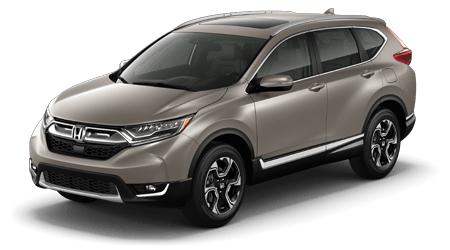 Don't miss your chance to secure a ride that offers a hands-free power tailgate and 7-inch Display Audio touch-screen, find a Honda CR-V today! 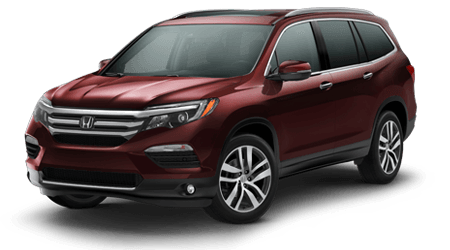 When you need a vehicle that can keep up with the pace of your family, you need this modern family SUV from Honda. 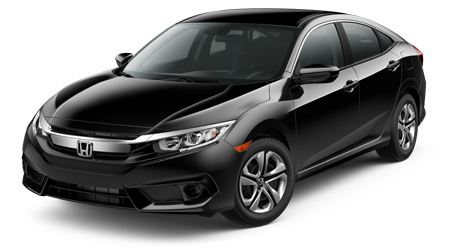 In order to find a nearby new and used car dealership offering up your favorite vehicles from the Honda brand, you need only head in and visit Lodi Honda. Our dealership proudly serves the areas of Lodi, Stockton, Elk Grove, and all of the surrounding areas in California. From the moment you step onto our vehicle lot, we want you to feel like family. It is our pleasure to treat you to a no-hassle car shopping experience where you are the thenumber one priority. All of us at Lodi Honda understand that your automobile is an investment and a necessity, so we're here to help you make an informed decision on a new Honda or pre-owned vehicle that works with your budget. Our Lodi, CA Honda dealership is proud to showcase the newest vehicle models available anywhere. Our new car showroom is packed with all of the latest 2018 Honda models available. Stop by and get behind the wheel of the 2018 Honda Accord sedan, head-turning coupe, or be environmentally-friendly with a 2018 Honda Fit. For those looking for some pep and style options, the 2018 Honda Civic boasts a variety of trim options alongside a hatchback, sedan, or coupe body style. Do you have a growing family? You'll want to bring everyone down to test drive the hot new 2018 Honda CR-V SUV that is available in both a FWD and AWD option. Take your time and browse our extensive inventory of all new 2018 Honda vehicles for sale. We have a full lineup and an option to fit a variety of lfestyles. Drivers near Elk Grove, CA that are looking for a new Honda vehicle, but don't want to purchase brand new, have quite a few choices at our Lodi store. We have plenty of pre-owned Honda cars for sale from an inventory featuring minivans, SUVs, pickup trucks, sedans, coupes, and more. In addition to our pre-owned Honda vehicles, we have many other popular used makes and models to choose from for even more available options. Do you want a little more with your purchase? A certified pre-owned Honda vehicle offers extra powertrain warranty, a free Sirius satellite radio trial, a free vehicle history report, and more. These vehicles have been through our multi-point inspection so you know that your car, truck, or SUV is up to the standards that the Honda brand is known for. Once you see something you love, let us know and schedule a test drive right away. Buying a new car outright can be expensive, but we have a Honda auto financing team with the knowledge to help you find the right options for your budget. Get started and get pre-approved for a car loan or leasing option online using use secure application form. We can also help you to understand the entire car buying experience from research to purchase. If you trade-in your vehicle, you can use its value toward the purchase of your next Honda vehicle from our dealership near Stockton. We will check your vehicle's worth for you and offer you a fair price for its value. Are you still unsure whether you should buy or lease your next automobile? Our guide will help you decide what your best course of action may be. Give us a call with any other questions you have about the financing process and we will be glad to help answer them. From the moment you drive off of our lot, we still feel a commitment to helping your new vehicular investment stay in proper working order. That is why Lodi Honda is pleased to offer a Honda auto service center that can take care of all of your maintenance or car repair needs in California. Our trained Honda service technicians are ready to fix or maintain your vehicle's performance and all you have to do is schedule a Honda vehicle service appointment online. We'll take care of the rest. Do you need parts? We carry genuine OEM replacement auto parts for sale online and some cool accessories to help you fix your Honda or upgrade with your own personal style. Visit our Lodi car parts department for more information or assistance with finding the parts and accessories you need. With all of the great amenities we have waiting for you, you may not believe our word about it all. We invite you to come down and see for yourself why people love Lodi Honda and service they receive here. Our entire team here is ready to help you with all of your questions about our current Honda vehicle inventory, service, or parts. Give us a call or contact Lodi Honda online to get your questions answered. We hope you stop by and see us at 1700 S Cherokee Ln in Lodi, CA. Test drive your favorite 2018 Honda automobile or used car and drive home in your shiny new vehicle, today!